Game of Thrones Season 7 Episode 4 Spoilers, Air Date, Promo: GoT S7E4 is coming next week and is titled ‘The Spoils of War.’ The trailer has already been released and focuses on Daenerys in crisis following the Lannister’s attack led by Jaime on Highgarden, i.e., Tyrells. In the clip, we can see Dany saying “All my allies are gone, I am losing,” to Jon Snow while they talk at the shores of Dragonstone. By saying it, she points out the Euron’s attack on the Greyjoys in episode 2 and Jaime’s attack on Tyrells in episode 3. It looks like that she is now more than ready to negotiate with Jon Snow even after knowing that he will not bend the knees before her. Moreover, she will now support him on the full scale along with a full fledged attack instead of just controlled strikes. Also, we can see Daenerys saying, “Enough with the clever plans.” Meanwhile, Cersei is being featured making a deal with the Iron Bank. The deal is that Iron Bank will back the Lannisters if they deliver the robbed gold from the Highgarden. In this Game of Thrones video clip, we can see a glimpse of Arya Stark reunited with Sansa and Bran at the Winterfell. 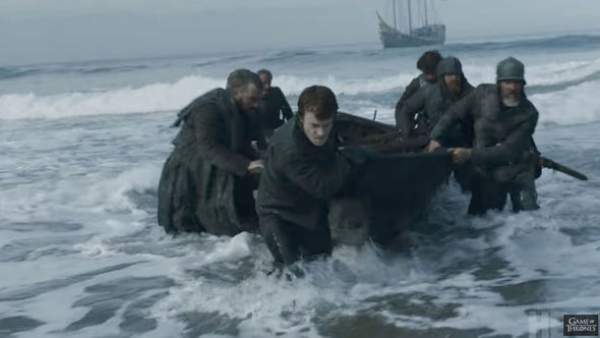 Apart from it, Theon Greyjoy at the shores, Brienne of Tarth engaged in a fight and Podrick being thrown to the ground are shown. Watch: Game of Thrones Season 7 Online. The episode 3 of Got season 7 has been the best so far. We saw some strong diplomatic scenes along with the most anticipated first meeting of Jon and Daenerys. 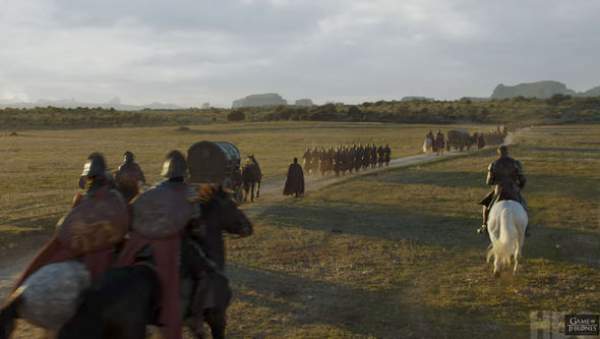 Also, in the trailer, we can see Lannister army descending to the Mother of Dragons, probably. The GoT 7×4 synopsis isn’t released yet but will be updated soon when available. Game of Thrones Season 7 Episode 4 is going to air on August 6, 2017, at 9 pm ET on HBO in the US. Let’s know your expectations and thoughts about the series via comments. Stay tuned to TheReporterTimes for more GoT S7 news and tv series updates around the world.